Fusion is all about mixing cooking ideas into a marked outstanding dish, I have always battled in cooking Gujarati dishes as it entails a lot of patience and time from you. Done that, my favorite veg fusion recipe dal dhokli is the one I wait, crave and eat time to time again. Alas, I couldn’t learn to cook my favorite dishes from mama, but I always try to reach somewhere at her level of taste and excellence. In India, we fitfully relish a fuse of Gujarati and Marathi traditional cuisine on our dining table to please and match the taste buds of multi-cultural elements within us. 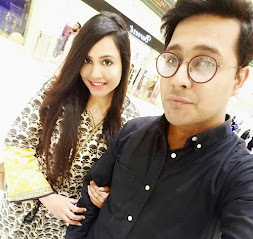 My bhabhi (sis-in-law) belongs to a Marathi family, we enjoy eating every cuisine of her specialty, dada and I would favor Marathi food over Gujarati food for a change, but dal dhokli is the only break in the pattern. Dal dhokli or Varan phal is on the cusp of Gujarati and Marathi flavors; the ingredients list is the spares as the savory dhokli is the star, garnishing elements when combined with the final output of the dish emphasizes its taste and aroma. The recipe is the hue of sunflower and gold, I associate it with happiness, warm harmony, and it reminds me of the glossy growth of sun with the freshness of the greens in the park, albeit slightly subdued in its brightness as it is lightened with the addition of silky soft dumplings or dhokli. 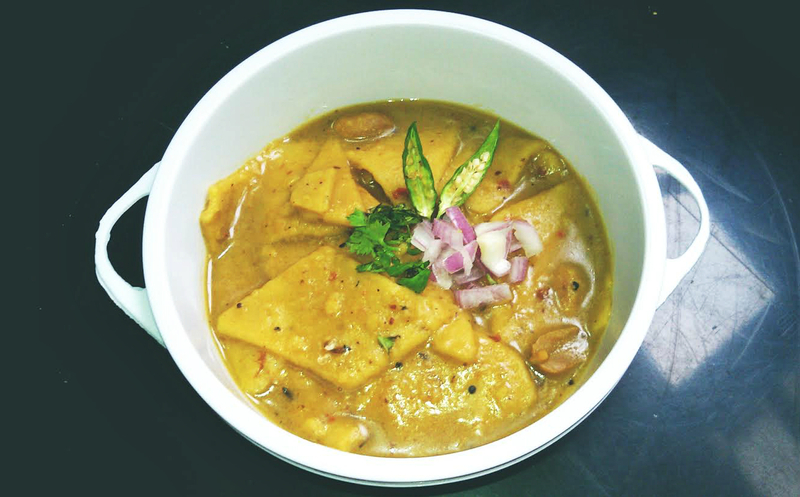 Dhokli are basically uncooked Indian flatbread that is cooked in a slow cooker with lentil stew, thus the fusion of two Indian recipe blends together giving a yummy and flavorful taste. I think this is the perfect dish for the one's who disrelish veg cuisine, as the taste of dumplings and lentil stew will keep you hooked and away from those non veg appetency. If you soak lentils overnight, then this dal dhokli recipe will become an easy task for you or you can simply put the lentils to boil for a longer time, any route you take. I recommend reading the entire recipe at least once before you start making it! Add clean and soaked split pigeon peas in a slow cooker, put in 2 cups of water and salt to taste, leave it to boil for about 20-30 minutes on a medium heat. If you haven’t soaked the lentils night long, then boil the lentils for 1-2 hours until it is cooked evenly. Meantime, let’s start with the dhokli preparation, all we need to do is prepare the dough and make the Indian flat bread or tortilla like thin flat bread. In a large bowl, add ½ cup wheat flour, 1 tablespoon chickpea flour, ½ teaspoon turmeric powder, ½ teaspoon red chili flakes, ½ teaspoon coriander powder and salt to taste. Knead the dough into a smooth form with the help of water, cover the dough and keep it aside. When the lentils or the dal is done, let it cool down to a room temperature. In a blender, add boiled lentils and blend it into a smooth consistency. Heat cooking oil in a slow cooker and add mustard and cumin seeds, once they start to pop, add curry leaves, ½ teaspoon turmeric powder, ½ teaspoon red chili powder and slit green chilies. Transfer the blended lentil mixture into the slow cooker and add a cup of water, cook uncovered for about 10 minutes on medium flame. Meantime, make round shape balls from the dough and flatten the balls with the palms of your hand. Use a rolling pin to roll a piece into a thin shape like tortillas. On an unoiled skillet, roughly warm the flat bread on both the sides to kill the raw smell of the flour. Make sure you do not warm it completely, just a flip will do. Make two Indian flat breads and refrigerate the remaining dough using a zip lock. On a clean surface, place flat bread and cut it into square or diamond shape with the help of a pizza cutter. We are finally ready with our dumplings or dhokli’s! Straight away, drop (one-by-one) the pieces of dhokli’s into the boiling lentil stew and let it cook for a minute. Now add another batch of dhokli’s and repeat and stir occasionally. Allow the dal dhokli to cook for 20-25 minutes until the dumplings turn soft and the consitency becomes little thick, add water if needed. Later, add 2-3 tablespoons of sugar, 1 tablespoon lemon juice and salt to taste. Adjust the sweet, sour and spicy taste of the stew and serve hot with pickles. Don’t forget to garnish with chopped onions and finely chopped coriander leaves! Enjoy! If you like the recipe then subscribe on link below for latest food updates !! !